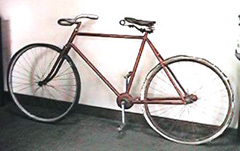 Rare Stearns “Chainless” shaft drive bicycle. 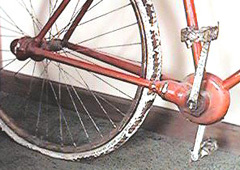 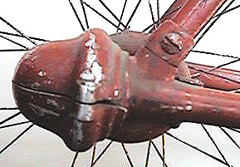 Stearns chainless shaft drive bicycle. 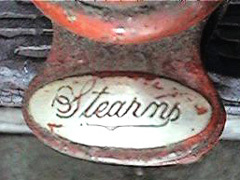 Stearns logo embossed into the fork crown caps. 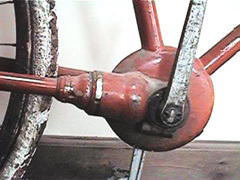 Cast metal cover over the rear gears. 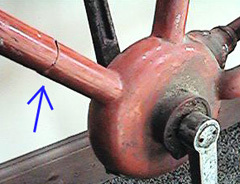 Shaft and gears are enclosed inside the frame.